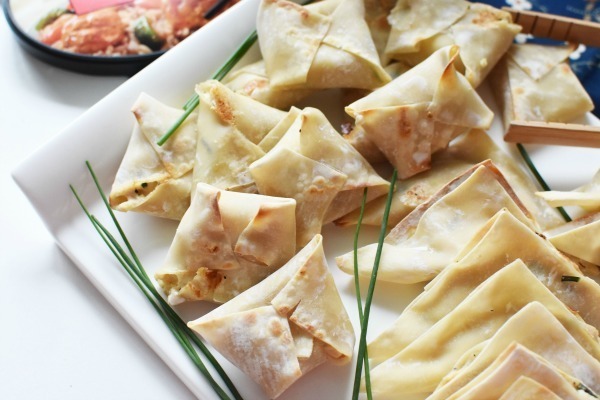 If you love crab rangoons, you will love these creamy tuna fish rangoons. Asian Food specialties like crab rangoons are my weakness. One day I wanted to make a batch but I had forgotten to pick up crab meat. I quickly scanned my pantry for a substitute, and thought tuna fish would be a great option. Tuna Rangoons are wholesome and have less “junk” in them because they are baked and feature white meat tuna fish. These baked rangoons even crisp perfectly in the oven without any oil. You just have to get the oven to the right temp and flip them over halfway through baking. 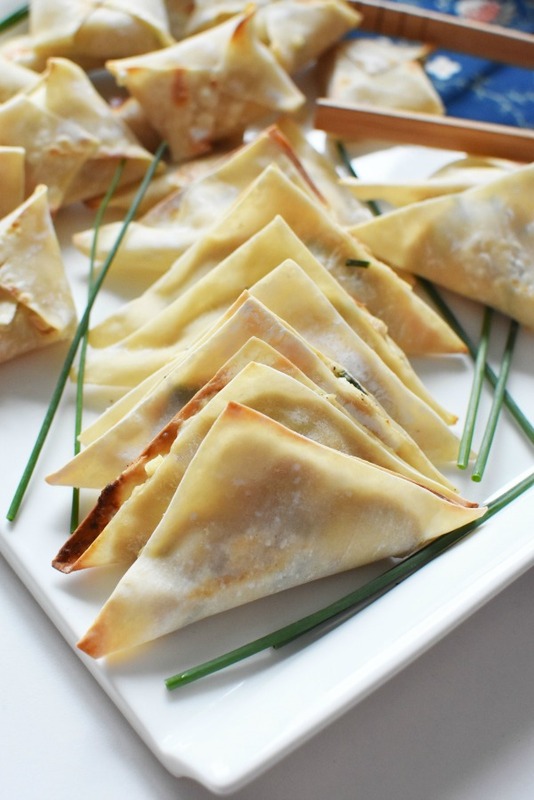 Similar to crab rangoons, these tuna fish rangoons feature cream cheese, chive, spices, Worcestershire sauce, garlic, and sour cream. I feel like the flavors meld so deliciously together in these tuna rangoons making them the perfect pairing for Tai Pei Sweet & Sour Chicken. 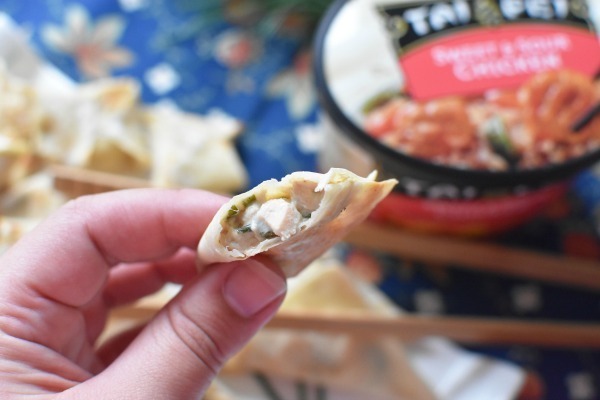 If you want to skip take out, consider Tai Pei frozen meals found at Walmart. 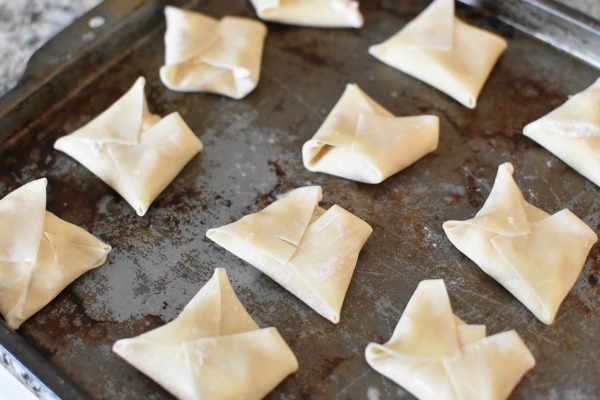 And, be sure to make a batch of these baked tuna rangoons! 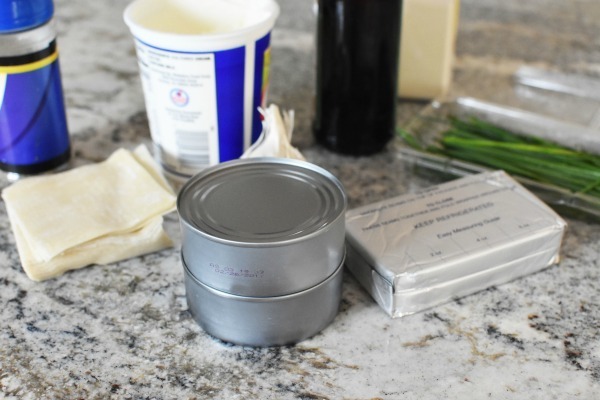 Get the printable Tuna Fish Rangoons Recipe below! Move over crab rangoons! 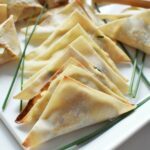 Tuna Fish Rangoons are just as tasty! Perfectly crunchy, baked tuna fish rangoons feature a creamy, seasoned middle. Easy, quick, and slightly better for you since they are baked! 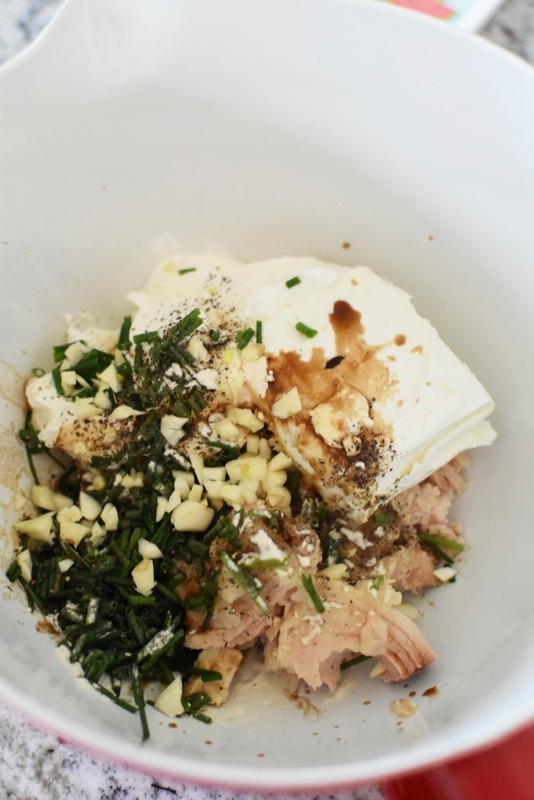 In a large bowl, add drained tuna, cream cheese sour cream, chives, spices, worcestershire sauce, and garlic. Cream together until fully combined. On two baking sheets lay out the wonton wrappers. Fill each with a little over a teaspoon of filling. Fold wrapper either like a triangle, or envelope- it is a matter of preference. Used water to seal/moisten the papers. Once done, bake for 10 minutes total flipping them over after 5 mins to get the golden brown crisp on both sides. We are trying to skip take-out more often, but that doesn’t mean I want to miss out on the flavors I love. Those rangoons sound too good to be true. Next time I’m at Walmart, I’ll pick them up. What a great addition to a family-friendly feast! I know we will love the tuna fish rangoons, plus all of the offerings from Tai Pei. I could pretend I slaved over the stove and oven and make a gourmet meal but faster and easier. This looks delicious. I’ve had that sweet & sour chicken before and it is really good. They have a couple other flavors that we enjoy too – I think one of them was General Tso’s!